Familiar face in the wetlands. Travis Wetland Nature Heritage Park is a hidden treasure! The park is a lowland freshwater wetland – a pretty special sort of ecosystem. The walkway around the perimeter of the park claims to be 3.5 km, but we clocked up 4.2 km in just over an hour. The wetland is full of bird life, new planting, and has ample information available. An information kiosk at the beginning has all the information you’ll need to get the most out of your visit: information boards, printed brochures, and you can even purchase a Field Guide for $10 from City Council service centres. Located in Burwood, the main car park is off Beach Road, which is off Frosts Road. See map below. We did this walk in April 2015 (autumn), and again in March 2017 (autumn) – still a fantastic walk! The track and boardwalks are designed to be accessible, and they are. Perfect for a buggy – no steps. Dogs and bikes are not allowed on the Wetland Walk. A young child would probably be OK on a balance bike – it would be hard to veer off into the swamp as much of the track has slightly raised sides (a wooden frame). The track surface is good – there was just one stretch near the Viewing Tower that looked like it might get submerged in wet weather. Bird life, of course! We saw several species of duck, pukeko, swans, fantails, and a harrier. Long ago, the moa and Haast’s Eagle may have inhabited the wetland – cool, huh? More than 55 species of birds have been recorded at the wetland. Nursery webs. 700-900 insect species can be found in the wetland. Numbered blue poles – Master P loved racing ahead to find all 15. Not sure what they’re for – maybe references for the Field Guide? The Viewing Tower. Keen beans might like to take binoculars. The Bird Hide (very near the beginning of the walk if you go clockwise). Sheep, a horse, and we saw a cat creeping among the pukeko. A wide range of vegetation, including bushes with berries. Almost 60 native plants have been recorded in the wetland. Check out Kiwi Guardians at Travis Wetland. Kiwi Guardians is a Department of Conservation activity programme for kids to help them learn about nature, and go on epic family adventures! You can even earn rewards (medals) by following trails and finding code words. The main car park is at the beginning of the walk, by the Information Kiosk and Education Centre. But, you could go by bus or park elsewhere and join the track at lots of points along the way. 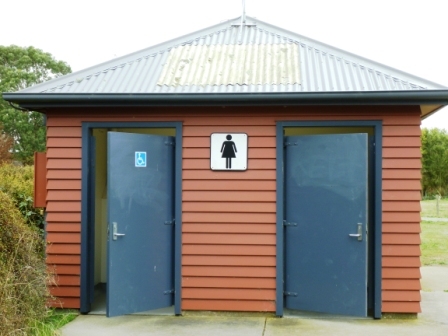 There are toilets, a drinking fountain, and a picnic table at the start. Don’t feed the ducks – it’s not good for them or the wetland for a number of reasons. Gumboots were a good idea for the kids! The Naked Baker is nearby (142 Beach Road) for coffee and cake emergencies – it’s pretty kid-friendly. Info board in Information Kiosk. The Travis Wetland Nature Heritage Park is a well-supported conservation area, as evidenced by the work of the Travis Wetland Heritage Trust, the existence of an information kiosk and education centre, and ongoing landscape development. 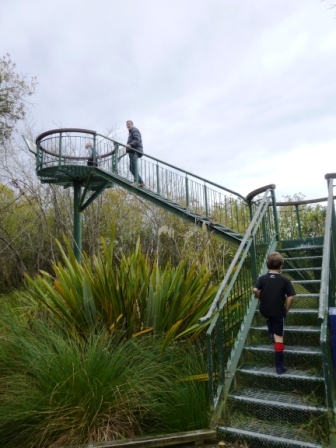 The park aims to be a largely indigenous and self-sustaining system representing wetland ecosystems of the Christchurch area from pre-Polynesian times until the present (TWNHP CCC brochure). The area has an interesting pre-colonial history, was radically changed after European settlement, and became protected by the Christchurch City Council in 1997. Travis Wetland is a prime spot for research on wetland ecology and habitat restoration, predator control, water quality and hydrology (TWNHP CCC brochure). Located in Burwood, the main car park is off Beach Road, which is off Frosts Road. We set off to the right = anti-clockwise. Looking out from Viewing Platform. Hanging out of Information Kiosk. To the bird hide – just a few minutes into the walk if you go in a clockwise direction. No dogs or bikes – we saw both! Track near Viewing Platform – may get water-logged. View across wetland from half-way. Some of the new planting. Travis Wetland – Travis Wetland Trust site a bit out of date – last update I could see is 2014. 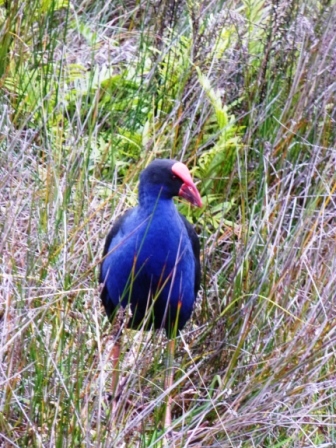 Travis Wetland Trust – More up to date Facebook page. 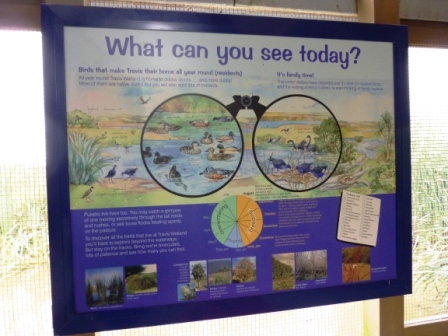 Travis Wetland Nature Heritage Park – City Council site with visitor information and fact sheet. Travis Wetland – Christchurch City Libraries site for historical info and a pretty handy map.